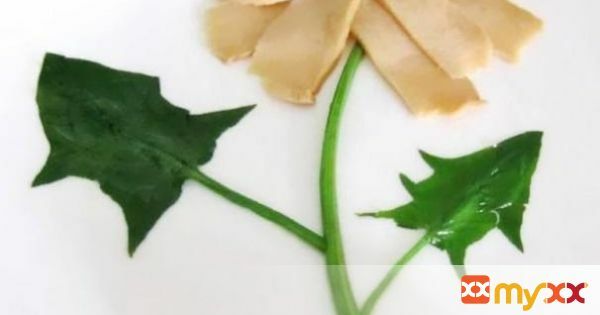 Harris Teeter Recipes - A Stalk of Abalone Flower On Mother’s Day! I was in one of my wacky moods again & thought of playing with my food. I’m really happy with the outcome. Something very simple but better than buying her a gift. Most importantly, the smile on her face brought me joy. What do you think of my stalk of Abalone Flower? 1. Wash vegetables thoroughly. Pick out few stalks of spinach & set aside for presentation. Cut up the rest. 2. Boil unopened can of Abalone for 30 min – 2hrs in hot water. 30 min is sufficient but if you want the Abalone stock to be really rich & fragrant, leave it to boil for 2hrs if you've time. 3. Cool before opening the can. 4. Cut abalone into slices. 5. Heat abalone stock. Rinse wolfberries & add into stock. Cook till soft. 6. Drain & set aside. 7. Throw in stalks of spinach for presentation use. Cook for couple of mins. Drain & set aside. 8. Add in the rest of the vegetables & mix well. Cover & simmer. 9. Spinach is ready when steam emits from the lid. 10. Drain & put on serving plate. 11. Top with abalone slices, leaving some to make the flower. 12. On another plate, start decorating your stalk of flower. 13. Heat stock & add cornstarch when boiling. Drizzle the sauce onto the 2 plates of abalone & kill two birds with one stone!